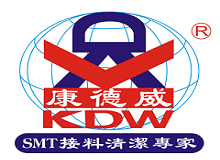 Product categories of SMT Splice Tools, we are specialized manufacturers from China, SMT Splice Tools, SMT Splice Cutter Tool suppliers/factory, wholesale high-quality products of SMT Splice Tape Tool R & D and manufacturing, we have the perfect after-sales service and technical support. Look forward to your cooperation! 1,SMT Tape Cutter with Guide Pins Designed specifically for precise cutting of SMD carrier tapes prior to splicing. Used for 8mm carrier tapes. 2,SMD Tape Cutter Unique design with zigzag cut for the precise cutting of SMD carrier tapes prior to splicing. Used for all carrier tapes. induction platform lattice and discharge device, you can use the SMT Splice Tool, SMT Splice Tape, the new material placed on top, so that the operation faster , More convenient. 3, SMT Splice Tool includes: Smt Stapler Splice Tool SMT Splice Scissor, SMT Splice Cart. SMT Stapler Splice Tool SMT Stapler with the special advantage: Splice Clip can achieve a charge used 20 times continuously, the perfect solution to every problem loading Splice Clip, greatly improves the work efficiency. 4,SMT Splice Cart Advantages: Removable fixed SMT Stapler Splice Tool, a dedicated induction platform lattice and discharge device, you can use the SMT Splice Tool, SMT Splice Tape, the new material placed on top, so that the operation faster , More convenient.